Some people have issues with pot balms. Not me -- I really love them. I think they're so chic and really add a luxurious element to my makeup bag or purse. Dior Creme de Rose Smoothing Plumping Lip Balm has a delightful rosy scent that just makes me feel ultra-feminine every time I slick it on ... not to mention I get tons of compliments on the gorgeous packaging! The sleek white compact is just so utterly elegant, don't you agree? But it's what's inside the compact that really counts. 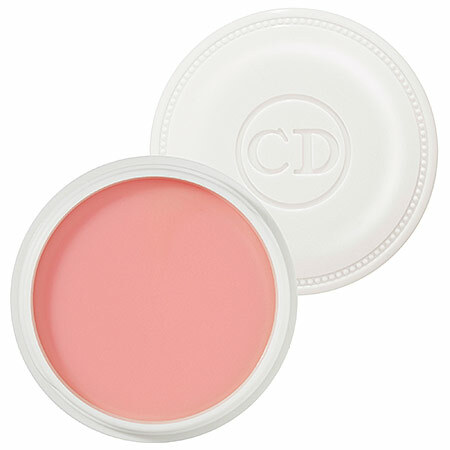 Essential oils and shea butter nourish and moisturize the lips while adding just a hint of petal-pink color to the pout. I love that it feels so slick and lush -- not at all sticky or tacky -- and it lasts for hours. It's tough not to have a rosy outlook with this balm in my possession. Dior Creme de Rose Smoothing Plumping Lip Balm retails for $27 at sephora.com.